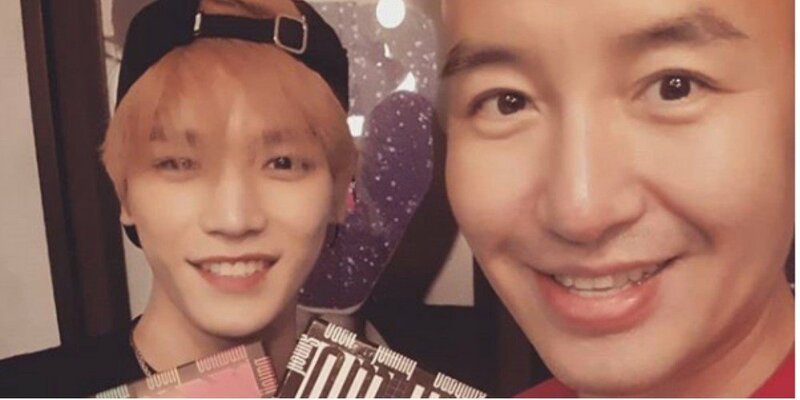 Hong Suk Chun and NCT's Taeyong have finally met! Previously, Hong Suk Chun garnered much attention by revealing that he is�distantly related to an SM idol, who he later revealed, "Taeyong the most handsome member of NCT." Finally, the two stars have met for the first time. Hong Suk Chun shared photos from their gathering via Instagram on April 24. Hong Suk Chun captioned, "Finally met our Taeyong hehehe�We had an amazing dinner at smt in Cheongdam-dong. We talked about his childhood and family, the present, and the dreams and plans he has for the future. I'm proud of Taeyong who has grown up well. I'm cheering on for amazing and healthy promotions for him. Fighting." ??? ?? ?? #nct #?? ? ??? ??? smt ?? ?? ????? ???? ??????? ???? ????? ??? ?? ??? ???? ?????? ??? ?? ???? ???? ???? ? ??? ??? ?? ??? ? ?